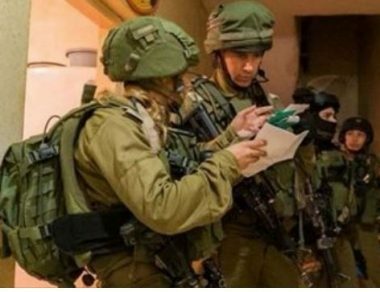 Israeli forces Wednesday took over an archaeological house in the old town of Hebron and turned it into a military outpost. The house is located in an area that has been under full Israeli military control for over 15 years now. The house, which is located in an area that was declared a closed military zone and belongs to two Palestinian families; al-Qudsi and al-Kard, is considered one of the oldest heritage houses in the area, according to WAFA. Hebron Rehabilitation Committee said that Israeli forces blocked the windows with sand bags and turned the roof into a military outpost. Director General of the committee, Imad Hamdan, said archaeological buildings in the old town of Hebron is considered a strategic target for both Israeli authorities and settlers. He explained that Israeli authorities take over the archaeological buildings in the area, turn them into military outposts and prevent Palestinians from living there and from rehabilitating them, while settlers steal their stones and use them on their own homes to give the houses a historic landmark status in an attempt to falsify history.